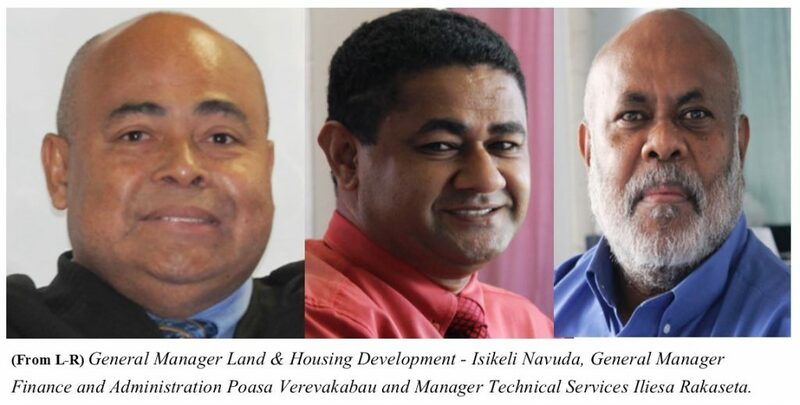 The Housing Authority Board has appointed a three member management committee to carry out the functions of the Chief Executive Officer, following the resignation of the Former CEO a week ago. The Management Committee consists of General Manager Land & Housing Development – Isikeli Navuda, General Manager Finance and Administration Poasa Verevakabau and Manager Technical Services Iliesa Rakaseta. They will carry out the responsibilities and will collectively make decisions when exercising the functions of the CEO until a new Chief Executive Officer is appointed. The Board has thanked the three managers for accepting the appointment and wished them well.